The story of the recalcitrant guests of Alvar Hanso, founder of The Hanso Foundation, continues with a two-hour premier on 31JAN08. The sojourn in at the island maintained by Dharma Industries will be recapped to bring new viewers up to date. With the rest of network television paralyzed by the writer’s strike, this is about the only thing to watch on television. The map below, courtesy of strange maps, will aid the uninitiated in understanding the story. The 2007-08 Gatorade National Football Player of the Year Matt Barkley, quarterback from Mater Dei High School, has committed to becoming a Trojan. The 6-foot 3, 220-pound Barkley is the first junior to win the award. Barkley made he decision to announce his decision after visiting USC on 19JAN08. Barkley will not be eligible to sign a letter of intent until February 2009. Mater Dei has produced other notable Trojans Matt Leinart and Matt Grootegoed. Now Barkley will follow in these legends to USC. The announcement by Barkley clearly places USC football at the top of the recruiting world. This move regains the Southern California spotlight for USC, after cross-town rivals UCLA announced the addition of Norm Chow to the Bruin coaching staff. A recent study from the University of Colorado finds that game days result in an increased number of assaults, liquor law violations, and assaults. It is rather fitting that this study would come out of CU given the anarchy that erupted during the Buff’s 2005 loss to the Nuskers. Yes, the study came out of the Denver not the Boulder campus, but it still works. home games are associated with a 13 percent increase in arrests for drunk driving, a 41 percent increase in arrests for disorderly conduct, and a 76 percent increase in arrests for liquor law violations . . .
Former USC offensive coordinator – and man who many said the Trojans would fail without – Norm Chow has been hired by UCLA. We will see what he can do against Brian Cushing, Rey Maualuga, and Taylor Mays. What is it about Chow that no school ever wants him as a head coach? Anyone who is a fan of Duke lacrosse or Rule 8.4 of the Model Rules of Professional Conduct, will not be despondent over the news that Michael Byron Nifong, former district attorney for Durham County, NC, has filed for bankruptcy. Mr. Nifong lists his total assets at $243,898 and total liabilities at $180,311,978. That is not good. But, he still has his license to practice law and a 2003 Honda Accord EX. Wait, he had his license to practice law revoked by the North Carolina State Bar. Well he still has the Accord and it is an EX which is better than the LX. So he has that going for him. According to Aviation Week, the Navy, specifically the Marine Corps, will stick with the US 101, aka the VH-71, helicopter for the helicopter version of Air Force One, known as Marine One. The upgrades will cost an additional $1 billion, on top of the original $6.1 billion price tag. The Navy had also considered the Sikorsky H-3s as an alternative airframe. The original decision by the Navy to select the VH-71 caused some controversy because the aircraft is manufactured by a foreign company. 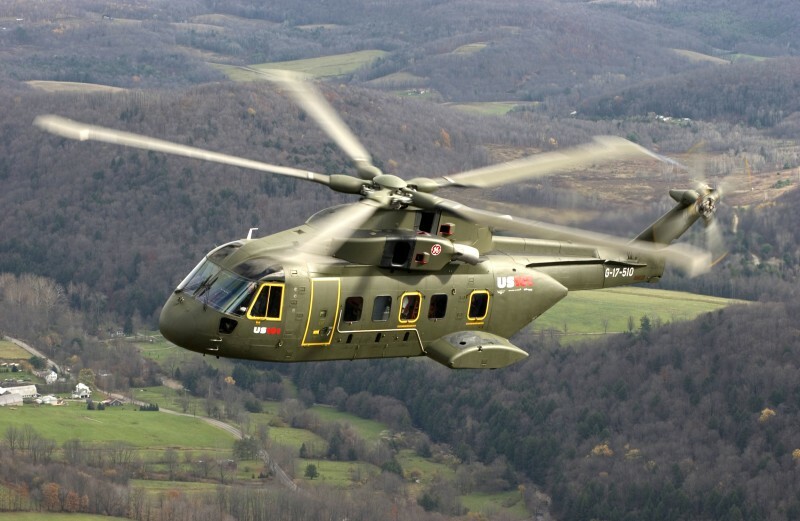 The VH-71 is manufactured by AgustaWestland, a joint partnership between British and Italian companies.